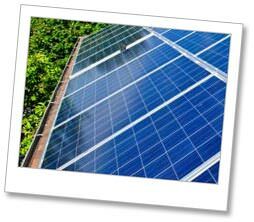 Electrasolar are an established, locally based company who pride ourselves in the quality of our work. Although the Solar PV industry is in its relative infancy we have a broad spread of experience in this field. Unlike many solar PV installers our business is well established and due to our wide experience you can trust us to install high quality/value for money Solar PV systems with a personal touch! We are MCS certified for the installation of Solar Photovoltaic panels. This means that we have undergone training and testing to ensure that we meet a wide variety of quality and safety standards. Find out more information about MCS certification or view our MCS Solar PV Certificate. We are a member of the REAL Assurance Scheme for Solar PV. This means that we abide by a strict set of standards set out in our consumer code. Find out more about REAL Assurance and view our REAL Assurance Solar PV listing. The UK government have committed to the Feed In Tariff scheme for at least the next 20 years.